Intuitive painting, also known as process painting, is a method for giving voice to your unconscious; that wise part of you that likes to hang out in the shadows. Believe it or not our conscious minds only access a relatively small part of our total awareness. 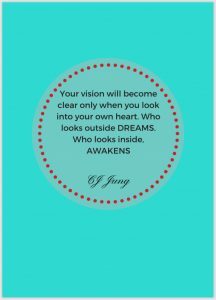 We have a deeper knowing, an inner hidden wisdom that peeks out every so often in the form of gut instinct, deja vous, and slips of the tongue. That is our unconscious. 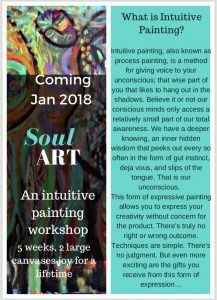 The Gift of Intuitive painting helps you to discover things about yourself you may not have known such as how you respond to your inner critic, how you respond to change, how you handle not being in control, how you respond to fear. 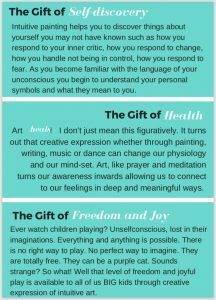 As you become familiar with the language of your unconscious you begin to understand your personal symbols and what they mean to you. The Gift of Art ! I don’t just mean this figuratively. 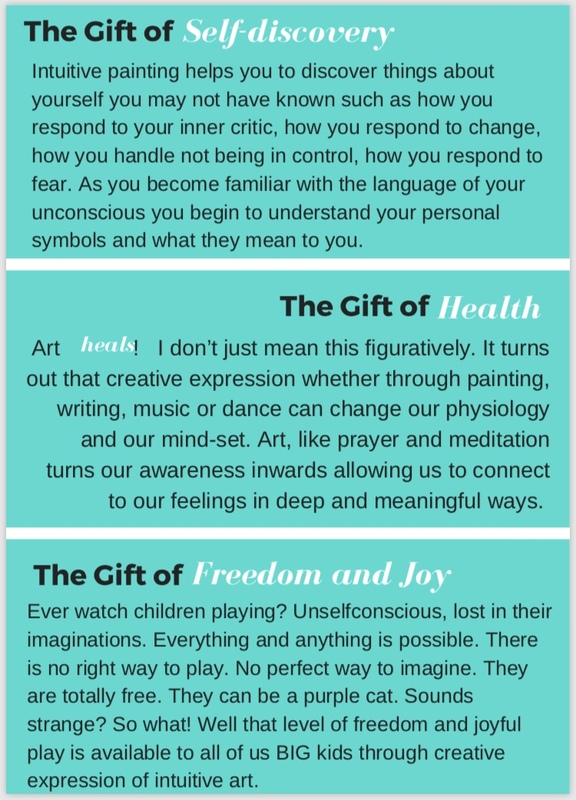 It turns out that creative expression whether through painting, writing, music or dance can change our physiology and our mind-set. 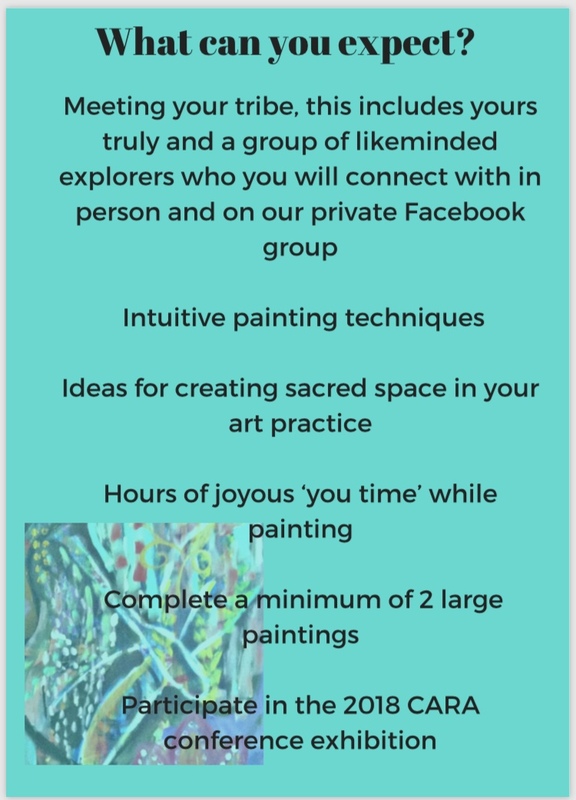 Art, like prayer and meditation turns our awareness inwards allowing us to connect to our feelings in deep and meaningful ways. The Gift of Ever watch children playing? Unselfconscious, lost in their imaginations. Everything and anything is possible. There is no right way to play. No perfect way to imagine. They are totally free. They can be a purple cat. Sounds strange? So what! 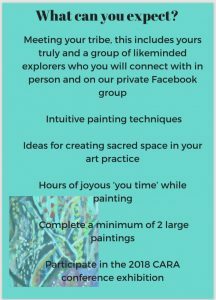 Well that level of freedom and joyful play is available to all of us BIG kids through creative expression of intuitive art. Should You Give It a Whirl? Does the thought of expressing yourself creatively peak your interest and give you a silent thrill? Are you curious to find out what lies within? 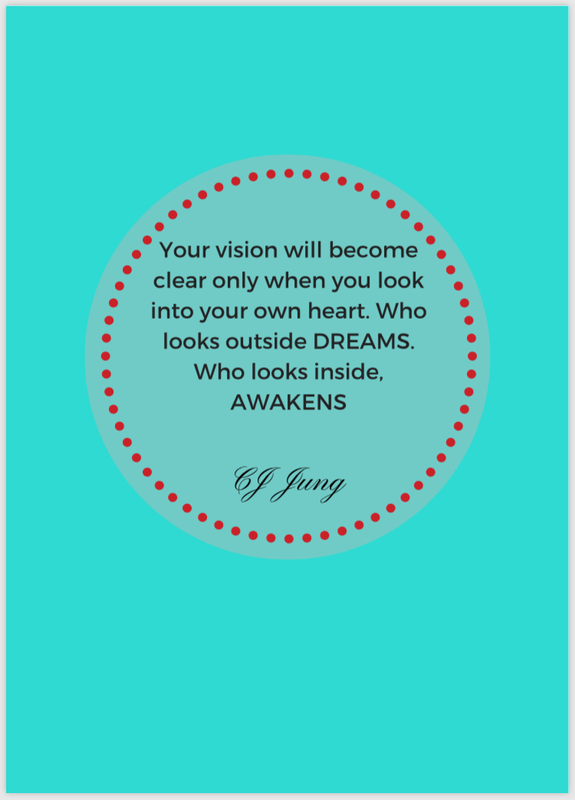 Have you tried other ways to get in touch with your inner wisdom, to learn more about yourself? Would you like to do something wild and free? Would you like to connect with a community of like-minded explorers? 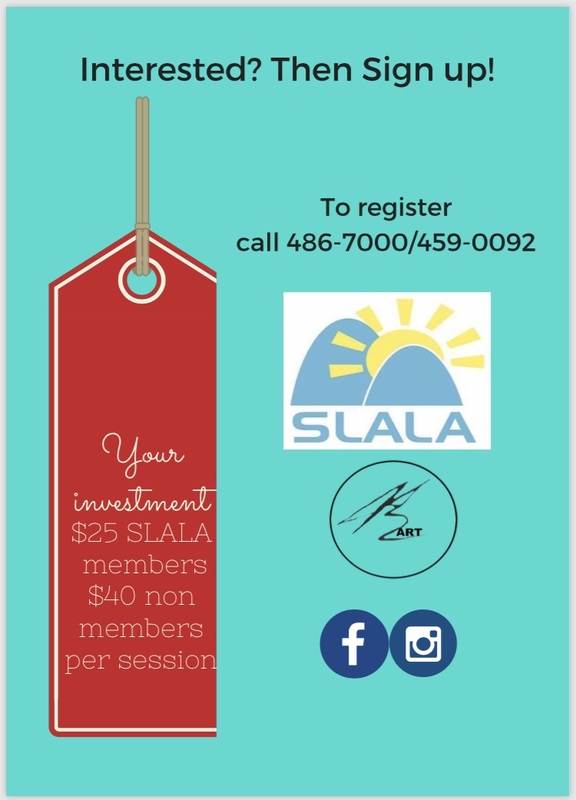 Are you looking for a place to relieve stress and tension? Have you been told that you are creative? 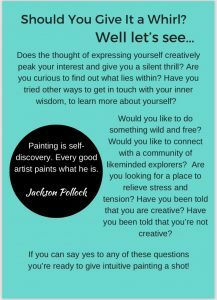 Have you been told that you’re not creative? 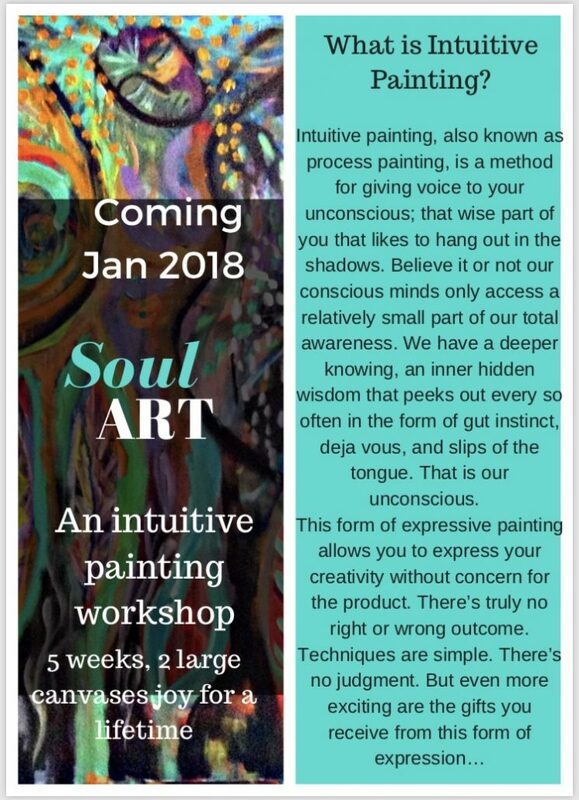 If you can say yes to any of these questions you’re ready to give intuitive painting a shot!